Heritage state Rajasthan reflects the aspirations of over 73.53 million people for an inclusive and sustainable growth. Rajasthanis across the globe are known for their entrepreneurship and resourcefulness. The state of Rajasthan has been marching ahead in terms of industrialisation. But there is still scope for improvement in many areas - education, poverty alleviation, civic and industrial infrastructure, economic growth and agriculture. The state has recognised the role industry plays in fostering all-round development. More industries will create more jobs and generate revenue to enable the state to invest more in social sector projects. The core idea is to create an economy that works for everyone, in which every citizen has the chance to realise his or her dreams, according to CM Vasundhara Raje Scindia. The state government has placed economic reforms at the centre of its development strategy. Rajasthan has taken measures to simplify procedures to establish and operate businesses in the state. In addition to this, many steps have been taken to impart skill training to the youth. The private sector is playing a key role in the skill development of the educated youth of Rajasthan. The state government has also initiated a series of labour reforms to make it easier for industry to create more jobs. Rajasthan has been at the forefront of launching industry-friendly policies on a regular basis. The release of Rajasthan Investment Promotion Scheme (2014), Solar Policy, Rajasthan Mineral Policy 2015 and Rajasthan Tourism Unit Policy 2015 are such examples. Rajasthan is the first state to have a country-specific zone (Japan); After Japan, more countries have expressed interest in this country-specific zone concept. Furthermore, provisions to promote investment have been consolidated and put forth in the Rajasthan Investment Promotion Scheme-2014. Some of the salient features of this scheme are the extension of subsidies to focus sectors, exemption from duties and fees, and measures to curb red tape. With these concerted efforts, the state government is confident that it will attract investors from India and abroad to Rajasthan. The Resurgent Rajasthan Partnership Summit (19-20 November, 2015) is a grand conclave that brings together leading investors from all over the world for interaction with policy makers, political leadership, state officials and local business leaders on the investment opportunities in the state. The summit is organised by the Rajasthan government in association with the Confederation of Indian Industry (CII). The global summit has thematic seminars, conventions, panel discussions, discussion forums, B2B and B2G meetings, exhibition pavilions and other networking programmes. The state government expects a significant surge in global investor interest and definite commitment to invest as a result of the Resurgent Rajasthan Partnership Summit. In 2010, the government has announced that 20 development schemes for women and eight schemes for the girl child would be administered by panchayat samitis or village council committees. This meant that the funds required to administer and shape the programmes would be devolved to the panchayat samitis. The Centre for Advocacy and Research (CFAR), a catalyst group, worked with the government on a three-year project to shore up the capabilities of 180 gram panchayats spread across six districts of Rajasthan. The aim was to ensure better health, education and rights of girls and women. As a result of the project, from April 2014 to March 2015, 30 gram panchayats achieved a rare feat in a state entrenched in patriarchy and gender bias. Each of the 30 panchayats recorded more live births of girls than ever: 1,620 girls against 1,460 boys across all panchayats. Since the project lasted three years, it was important that the processes and efforts continued. A resource pool was created comprising school teachers, journalists, self-help groups, former panchayat members, youth leaders, frontline workers and grassroots leaders. Over the past three years, many of them have not only helped to raise consciousness but also guided and supported panchayat members in organising events and reaching services and entitlements to women and girls. Eventually, government officials needed to be equally involved and dedicated to the cause. In all, Rajasthan has 51 schemes both central and state to support mothers and girls. With a proactive government, Rajasthani women are being empowered and they are now determined to carve out their own future with the support of their families. CM Vasundhara Raje is on an overdrive to address a wide range of social issues including labour laws, education, power distribution woes, public healthcare and public distribution systems among others. Raje, who was an MP for 14 years before taking over as Rajasthan CM in 2003 for the first time, suffered a rare defeat to the Congress in the 2008 assembly polls. Staying out of power for five years - during which Rajasthan became the UPA policy laboratory – seem to have given Raje a range of ideas to undo the pet UPA policies, as well as to mix social welfare with market drivers. BJP surged to victory in Rajasthan under her leadership in 2013, winning almost 80% of the assembly seats. The size of the mandate virtually gave her a blank cheque in terms of the potential legislative changes. As a number of BJP leaders rose to prominence at the national scheme, Raje has largely remained the most 'un-fancied' name in the second rung of the party leadership. Moreover, the controversies relating to her family links with former IPL chief Lalit Modiblunted her image little bit as non-corrupt leader. Raje had a tough time through June and July 2015, with Congress gunning for her resignation. Perhaps her legislative determination lies in precisely this relative fallibility – she does not seem too concerned about electoral setbacks or getting a larger role in future at the Centre. In the "Assessment of State Implementation of Business Reforms 2015" report - a joint effort by Department of Commerce and Industry, World Bank, KPMG, CII, and FICCI – Rajasthan was ranked 6th among all states in terms of ease of doing business. Raje government has taken a lead to further the Rajasthan interests competing with more industrialised and higher per capita income states. In July 2014, barely half a year into its tenure, the Rajasthan government passed laws to change three labour law amendment Bills relating to the Industrial Disputes Act, 1947, the Contract Labour Act, 1970, and the Factories Act, 1947. The state assembly made changes to the Apprenticeship Act. These amendments made it easier for industrial units operating in the state to shut down and fire up to 300 workers without any permission. Most states in India have 80% small scale units employing less than 100 employees. Rest of the SSI units hire people on contract basis so that they can axe them if there is business downturn in future. The new changes in labour laws will help the small businesses absorb more workers on direct payroll. Direct payroll is beneficial to the workers in terms of getting better benefits. The amendments will need 30% of the workers to get together to form a labour union instead of the original 15%, thus making it more difficult to unionise. These changes came into force in November 2014 after the President approved them – a requirement where a state law supersedes the central one. 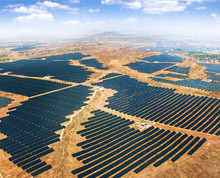 In September 2014, the Rajasthan assembly approved a bill making it easier for land owners to sublet or lease part or whole of their land to solar and wind power companies, making it attractive for investors in the power sector. Rajasthan is making a thrust towards renewable sources of energy and land availability is the biggest impediment towards these projects. The assembly has also taken up amendments to the Land Acquisition Bill – which has now been left to the states in the absence of a central law – but this bill is yet to be approved by the assembly. 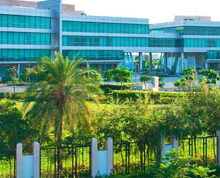 The Rajasthan Special Economic Zone (SEZ) bill was passed which frees the SEZ related land acquisitions from agricultural land ceiling provisions that had existed in the state since 1970s. This bill also provided for the usual state tax sops to attract new industries to set up shop. The government is planning to create a land bank of 10,000 acres for setting up industrial clusters. The state is strategising on the amendment to the UPA 2013 Land Act. Under these amendments, the state may offer higher than mandated compensation to the land owners, but has vowed to keep the acquisition process easy and transparent. Rajasthan has promised to extend all clearances to start up new industrial units within 7 days including those for setting up micro, small and medium Enterprises (MSME) units. There is also a plan to launch a new MSME policy which is expected to reduce the bureaucratic burden for the small entrepreneurs. Reform initiatives and new steps taken by Rajasthan government have accelerated the pace of economic development of the state. The state is galloping ahead with focus on critical sectors like health, education, skill development, tourism, urban development, energy, industry, agriculture and mining. Based on the suggestions given by the members of the Chief Minister's Advisory Council (CMAC), a road map for the development was prepared and the government took many steps in that direction. Recommendations of the CMAC and its various sub-groups helped in many ways to take decisions like repealing of 247 Acts, amendments in RTE, reforms in PDS, labour reforms, PPP in medical and health sector. New policies were introduced in the sectors like solar energy, tourism and mining. Bold efforts were being made for leveraging PPP in the infrastructure space and the ease of doing business in Rajasthan is being showcased to rest of the country.